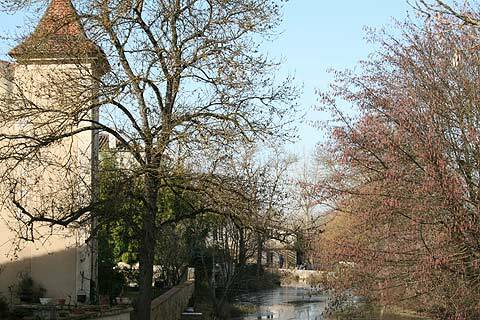 Fourcés is one of the 'most beautiful villages of France' and situated at the northern limit of the Gers department, 10 kilometres north of Montréal-du-Gers (another 'most beautiful village of France'). Start your visit to Fourcés by entering the village by the lovely stone bridge over the river - this bridge has been here since the 15th century. The Church of Saint-Laurent is on your right just before you enter Fourcés. The church dates from the middle ages, although it was in part rebuilt in the 1860's - the bell tower is particularly attractive. 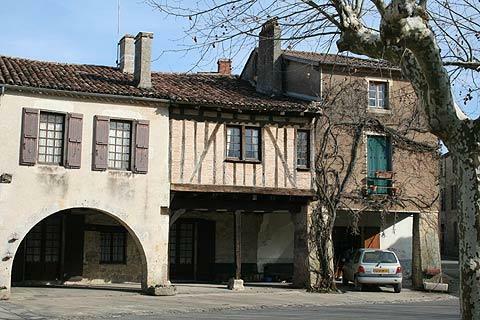 The village itself is a perfect ensemble of medieval houses, some in colombage (half-timbered) and some in stone (built in the 17th and 18th centuries). The mairie occupies one of the most impressive of these arcaded-colombage buildings. 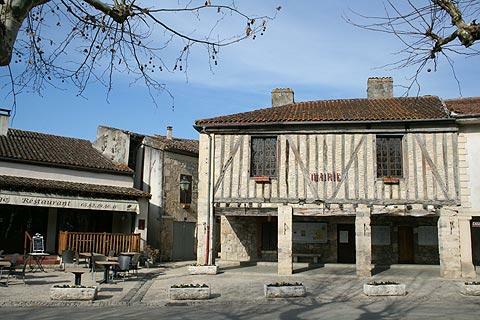 Fourcés is very unusual, in that although it is a bastide town it follows a round design (almost all other bastide towns follow a strict grid pattern). 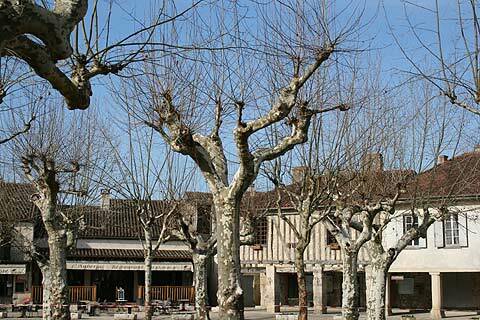 The edges of the central square are surrounded by beautiful old buildings, with sheltered arcades below. The centre of the square is planted with London Plane trees - again unusual, and a lovely place to find some shade. Around the edges of the 'square' take a look at the curious marks in the wood of the buildings (left by the builders hundreds of years ago). You can stop at a cafe or restaurant, and then browse the antique or craft shops. At the other end of the village is an attractive 13th century stone clock tower above one of the original gateways into the village centre. 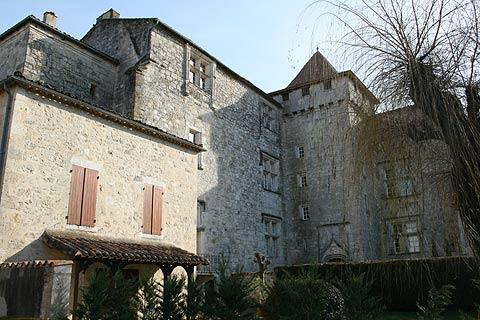 From here you get views of the castle and its tall fortified walls: the castle, next to the Auzoue river, is now a hotel and restaurant. If you are in the region at the end of April, a large flower festival is held in Fourcés, showing the town at its best and a lovely time to visit. 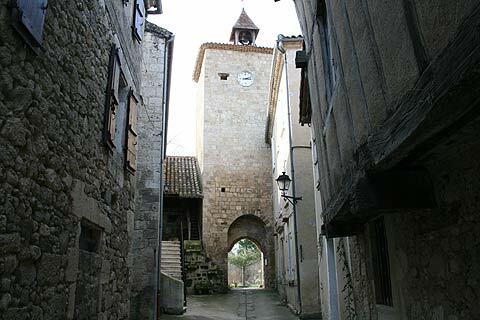 Among selected local highlights close to Fources you can visit Larressingle and Montréal-de-Gers - both are also among the 'most beautiful villages in France' and Larressingle in particular is a small but perfectly formed fortified village that is highly recommended.